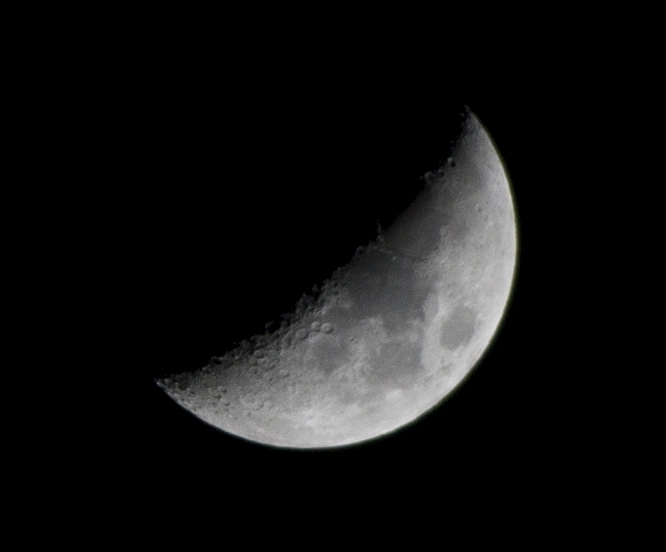 A handheld Pentax K-x DSLR at F=300mm, ISO 400, f/6.3 was used to image the Moon in RAW format. 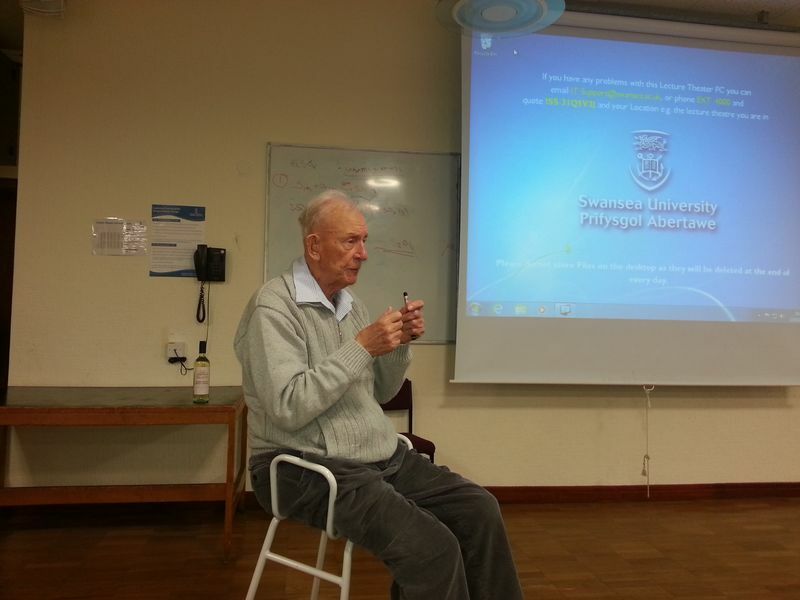 Prof Hugh Jones of the Swansea Astronomical Society gave a fascination lecture on waves, negative refraction and it's possible application. 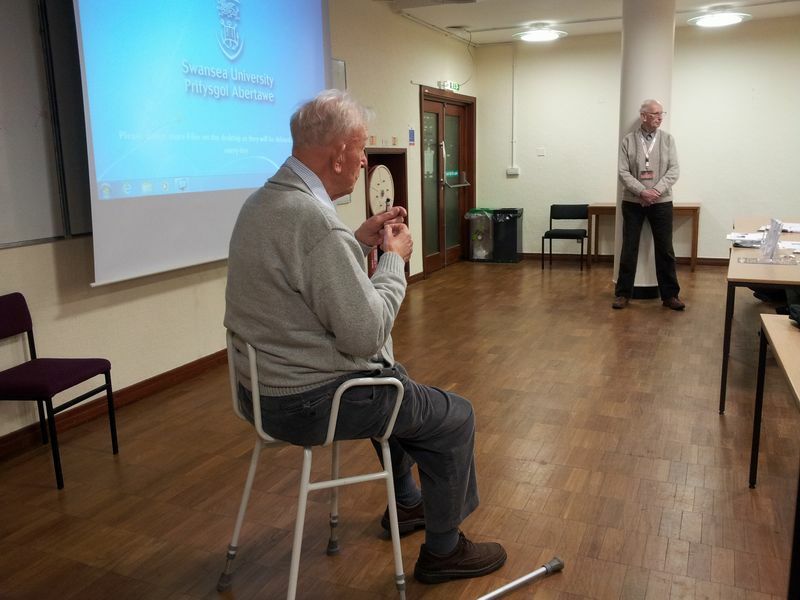 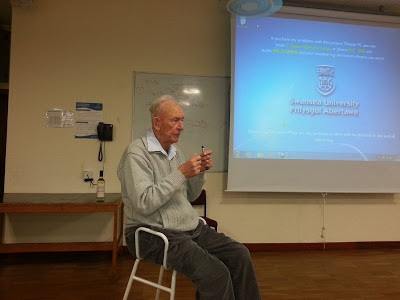 The lecture was concluded by some revealing and fascinating wartime and post wartime anecdotes.